Like their German neighbours (with whom they share the same satisfactory economic results) the Austrians chose to re-elect their leaders in the general elections on 29th September. Both countries are also due to be governed by grand coalitions rallying the two main political parties - one on the left and the other on the right - during the next legislature. As expected the outgoing government coalition formed by the Social Democratic Party (SPÖ) of outgoing Chancellor Werner Faymann and the People's Party (ÖVP) of Vice-Chancellor Michael Spindelegger, came out ahead in the election. The SPÖ won 27.1% of the vote and 53 seats (five less in comparison with the previous election on 28th September 2008); the ÖVP won 23.8% and 46 seats (- 4). The election illustrates the continued decline in the electorate of both parties: together they achieved the lowest score in their history, mobilizing just half of the electorate (50.9%, i.e. 4.1 points less than in September 2008). The election was marked by a sharp rise in support for the Freedom Party (FPÖ), a far right movement led by Heinz-Christian Strache, which won 21.4% of the vote and 42 seats (+ 7). The Greens (DG) led by Eva Glawischnig Piesczek came 4th with 11.5% and 22 seats (+3). With 5.8% of the vote (11 seats), the Team Stronach for Austria, a populist, eurosceptic party founded in September 2012 by Austro-Canadian businessman Frank Stronach, will be making its debut in the National Council (Nationalrat), the lower chamber of parliament, likewise the Neos-New Austria, a liberal party created on 27th October 2012 by Matthias Strolz, a former ÖVP member and supported by the industrialist Hans Peter Haselsteiner, which won 4.8% of the vote and 9 seats. 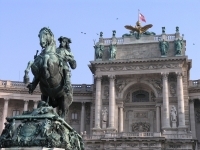 The Alliance for the Future of Austria (BZÖ), another far right party led by Josef Bucher failed to rise beyond the 4% threshold necessary to be represented in parliament; it won 3.6% of the vote. Turnout was clearly in decline: 65.9%, i.e. 12.9 points less than in the general election on 28th September 2008. On 29th September the "non-voters" became Austria's leading "party". "There is a great deal to do, on the one hand to deserve this result and on the other to strengthen confidence in the future," declared Werner Faymann on the TV channel ORF as he commented the results. "We are happy to form the next government" stressed the SPÖ's campaign chief, Norbert Darabos on the announcement of the results. "If we come out ahead and we win the mandate to govern I shall turn to the ÖVP to form a grand coalition," indicated Werner Faymann on the eve of the election. "This result is a warning. We can no longer smugly continue as before," declared Michael Spindelegger. The Vice-Chancellor failed to achieve his goal of being "No.1". The ÖVP is due however to continue its grand coalition with the SPÖ, a "natural" political configuration for the Austrians: the country was governed by a coalition allying the SPÖ and the ÖVP in the first 20 years after the Second World War (from 1945 to 1966). Recently a poll by the Spectra institute showed that 2/3 of the electorate (67%) preferred to be governed by a two party coalition, a symbol of political stability. "It will be interesting to see how this narrow majority functions in parliament. When the 2/3 majority is necessary to approve a bill - and it often happens - the SPÖ and the ÖVP will have to find a coalition partner," indicated Marcelo Jenny, Professor of Political Science at the University of Vienna. "It is an incredible success," maintains Heinz-Christian Strache on the announcement of the results. The FPÖ has continued to erode the electorate of the two "main" parties on the political stage but it suffered with the creation of the Team Stronach. "The arrival of the Team Stronach on the political stage is good news for the left because it steals votes from the ÖVP and the far right but none from the SPÖ," indicates Marcelo Jenny. "The FPÖ is no longer the only critical voice raised against the government, which is to its detriment," maintains Thomas Meyer, a political expert from the University of Vienna. "Three parties are established in Austria and the SPÖ can no longer pretend to dominate. We cannot form a coalition of losers, we can no longer be excluded," exclaimed Heinz-Christian Strache. The FPÖ campaigned more for Austrians than against immigrants. Undoubtedly it attracted those Austrians who are tired of the numerous corruption scandals that punctuated the previous legislature. Aged 53, Werner Faymann has worked as a general manager and regional chair of the Austrian tenants' association A member of the Young Socialists of Vienna, he became its Chairman in 1981, a post he occupied until 1987. In 1985 he entered the city council of Vienna. And in 1994, he was appointed advisor responsible for Housing and Urban Renovation. In 2007 he entered government and became Transport, Innovation and Technology Minister in the grand coalition (SPÖ/ÖVP) led by Alfred Gusenbauer (SPÖ). The following year Werner Faymann was elected to lead the SPÖ. He then signed an open letter with Alfred Gusenbauer in the daily Kronen Zeitung in which the two men asked that any modification to the European treaties which affected Austrian interests be decided by referendum. This new positioning by the SPÖ in regard to European affairs caused the collapse of the government in office. Werner Faymann led his party to victory on 28th September 2008 and replaced Alfred Gusenbauer as Chancellor. Four years later using satisfactory economic results as his support he has now succeeded in remaining in office and is due to continue government in coalition with the ÖVP.